At Toronto Reference Library, 789 Yonge Street. Toronto Comics Arts Festival is happening this weekend! 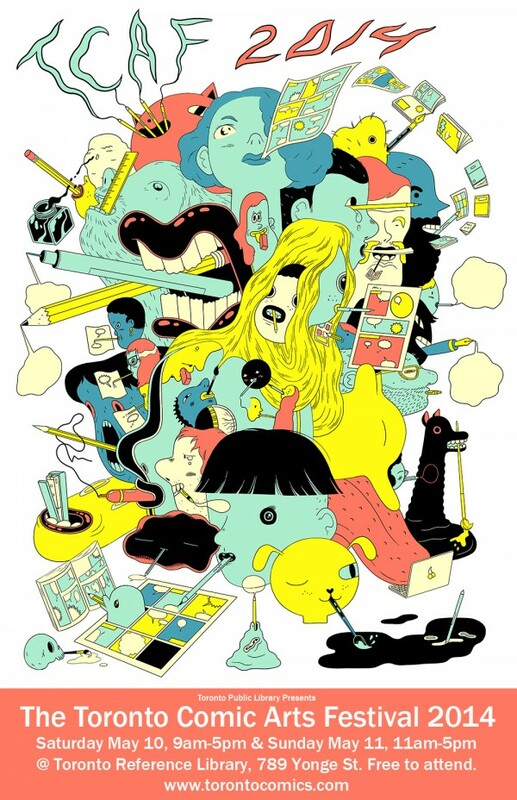 For those of you who don’t know, TCAF is a week long event that celebrates the works of comic and graphic novel artists and it’s completely FREE! There will be tables full of great indie comics you can buy, artists to talk to and panels to attend. The meat of the event will happen on this weekend Saturday and Sunday at the Toronto Reference Library. Can’t wait? You don’t have to! Some of TCAF programs have already started on Tuesday and there will be plenty until the week is over. 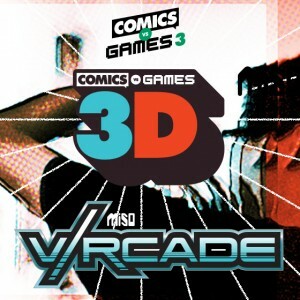 I for one, will attend Comics VS Games 3D + VRcade Opening Party this Thursday to check out my buddy Adam Hines’ (animator/host of the Guys with Pencils podcast) first game he slaved over. I’ll also attend the main event on the weekend as well. Come say hello if you see me. Also, don’t forget, it’s Mother’s Day weekend. Send your mother flowers and give her a call. This entry was posted on Wednesday, May 7th, 2014 at 9:27 am	and is filed under comix. You can follow any responses to this entry through the RSS 2.0 feed.